We finally get to enter Ji-san's studio. 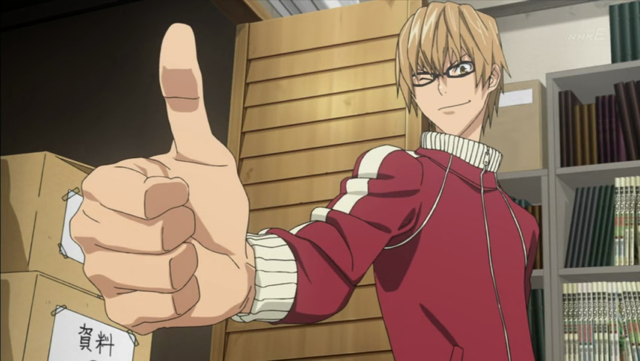 Last week Bakuman left us with a pseudo-cliff-hanger. As episode 3 begins, our aspiring mangaka enter the studio left to Saiko by his late uncle. We get a little bit of manga industry lore, and the episode is rounded out by addressing some background issues. It all adds up to putting the lads on the path to making manga. These first three episodes add up to three days storytime, so the pacing actually feels pretty good so far. 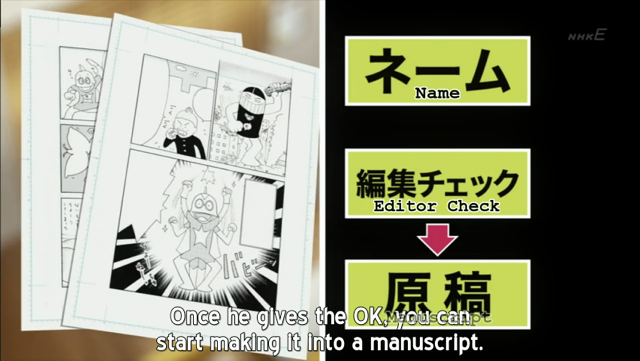 I enjoyed learning something about the manga development process. In fact this is my main motivation for watching Bakuman, so the first half, with discussion of research, and intermediate work products, and showing the various drawing tools, was quite satisfying. I’m looking forward to seeing even more focus on this aspect in future episodes. 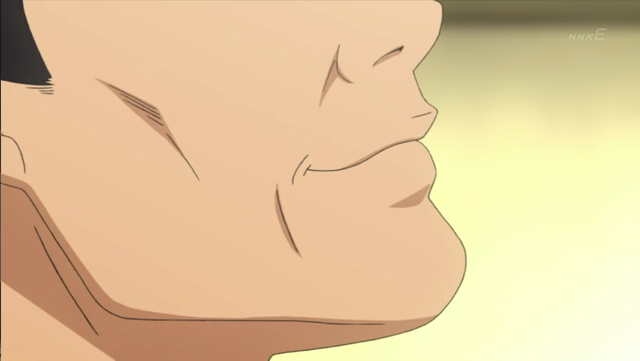 We get to see part of Moritaka’s dad’s face. I think I mentioned last time that, despite all the buildup, we never saw his father giving permission for him to become a mangaka. Instead we waited in the room with Moritaka (Saiko), and the decision was relayed through a third person (Moritaka’s mom). In this episode, the sense of estrangement is emphasized because we never get to see his dad’s entire face. The Shuujin seal of approval. 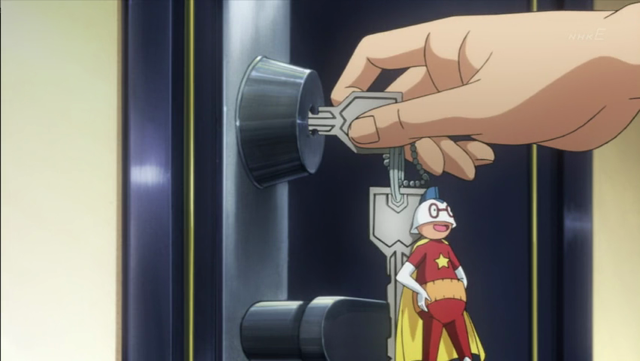 On the whole, I enjoyed this episode. I still think the idea of the romance with Azuki is kind of silly, and the big revelation in this episode made it seem even less believable, but I don’t care where the motivation comes from, as long as they carry this enthusiasm forward, and start making manga.